A month into her first job at an elementary school, a newly minted teacher encountered a situation her master’s degree in education had never prepared her for: a 7-year-old girl who, seemingly at random, would get up out of her seat and start spinning in a corner of the classroom. No one in any of her education classes had ever mentioned how to deal with a “spinner,” she told APS Fellow Daniel T. Willingham, a professor of psychology at the University of Virginia, and yet, when Willingham brought her predicament up with the other elementary school teachers he encountered through his work in educational psychology, they knew exactly the behavior she was talking about. 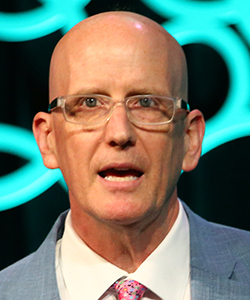 In general, up-and-coming teachers are receiving training that leaves them poorly prepared for unexpected experiences like this one in real classrooms, Willingham said during his APS-David Myers Distinguished Lecture on the Science and Craft of Teaching Psychological Science at the 2018 APS Annual Convention in San Francisco. Psychological science has been used to inform education in a number of ways, whether by inspiring classroom practices, or evaluating existing practices, Willingham said. The problem lies in how psychological science is communicated to teachers, he explained. Most graduate programs require education majors to take a course in educational psychology, foundations, or child development. Later on, the Praxis II licensing exam taken by most aspiring teachers in the United States expects test takers to have a basic understanding of how learning occurs, but that doesn’t mean the knowledge sticks with them once they’re out in the world as educators. In a 2017 study led by Kelly MacDonald (University of Houston), over 17,000 educators and members of the general public were asked to evaluate the accuracy of a series of “neuromyths” and factual information about the brain. When presented with common misconceptions about neuroscience (e.g., “classical music improves reasoning” and “dyslexia is seeing letters backwards”), educators accepted over half of the myths as fact, suggesting that, on average, their grasp of psychological science was only 10% more accurate than that of the general public. Teachers may not be retaining this information, Willingham said, because they’re not putting it to use, and may even find it irrelevant to their work. 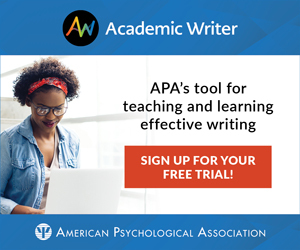 In a 2012 survey, the American Federation of Teachers (AFT) — a labor union that serves over 1 million educators in the United States — members’ chief complaint about their own training was its heavy emphasis on theory over application. Most respondents said that their personal experiences, and the experiences of more senior teachers, in the classroom, were of far more practical use to them than anything they were taught as students themselves. Willingham said psychological scientists need to identify what they have to offer teachers rather than what they want teachers to know in classroom settings. The three kinds of statements scientists make about the world — observations, theories, and epistemic assumptions — can be variably helpful to educators, he explained. While researchers need to be interested in all three, teachers should really only be concerned with observations that have risen to the level of empirical generalizations. Theories, on the other hand, tend to date back decades and to be abstract. Epistemic assumptions can also cause confusion, he adds. When psychological scientists say “learning is social,” for example, they mean that social factors should be considered when building a theory about learning. It’s easy for teachers, however, to interpret this kind of statement as meaning that children learn best in social situation, when empirically that’s unsupported. When it comes to creating a mental model of learners, Willingham said, teachers need one theory based on proven empirical generalizations so that they’re not learning and memorizing something that could be disproven later. “Theories for educators should be boring to researchers,” he said. A researcher might explain memory, for example, as a complex multistep process involving concepts such as episodic buffering, visual semantics, and episodic long-term memory, whereas a more teacher-friendly model of memory should simply be comprehensible, he suggested. Without greater follow through, however, even theories designed specifically for practitioners run the risk of being forgotten, he cautioned. Students pursuing a master’s in education usually take a course on educational psychology during their first semester of graduate school, and have little opportunity to revisit that content until they start studying for the licensing exam, he noted. Standardizing the curriculum within a program to more consistently cover the psychological science of learning could held address this, but would require the cooperation of professors who are used to having full control over what’s taught in their own classrooms. Willingham concludes that translating theory into actionable information for teachers will require intermediaries with knowledge of both the classroom and the lab. Professor Willingham is right about the application of psychology to teaching. I would love to discuss this further.